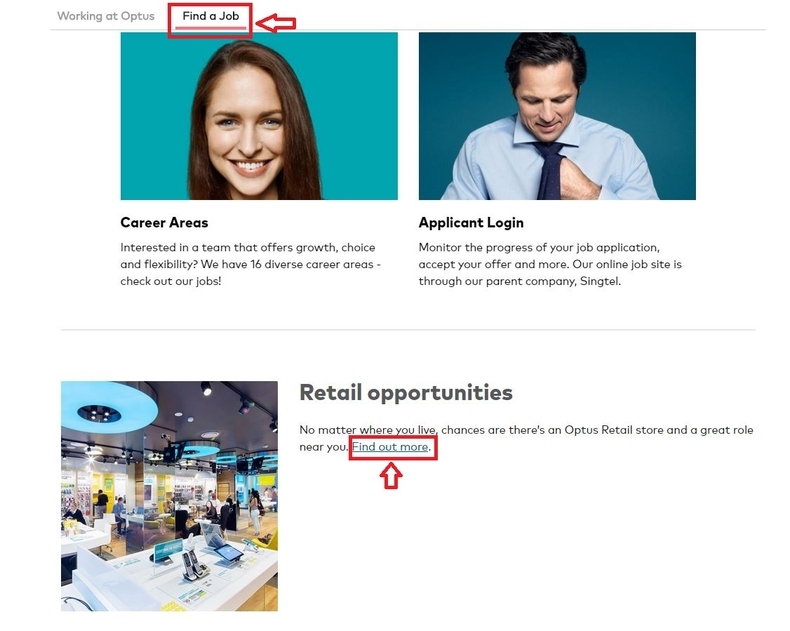 Go to optus.com/careers or careers.optus.com to land on the Optus career page and click "Find a Job". You'll be given the choice of going to "Career Areas" or "Applicant Login" part. 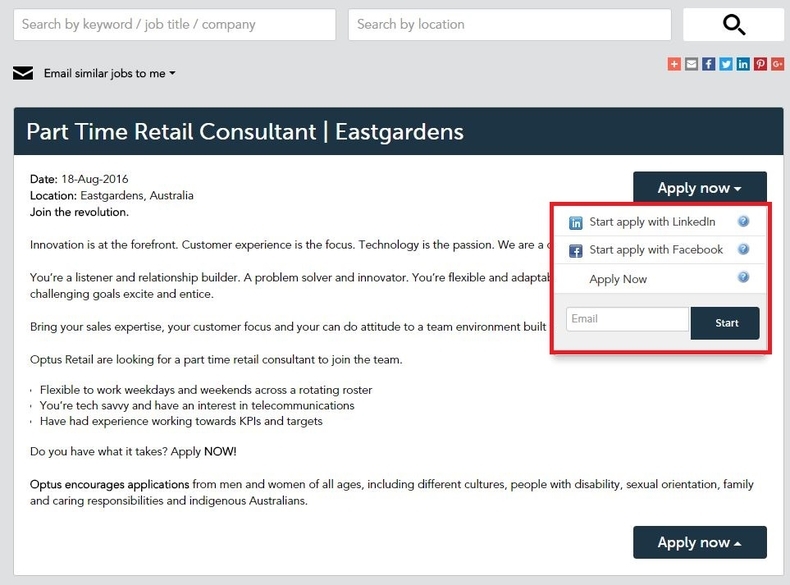 If you just want to search for retail opportunities, just click "Find out More" to be directly led to the retail job area. 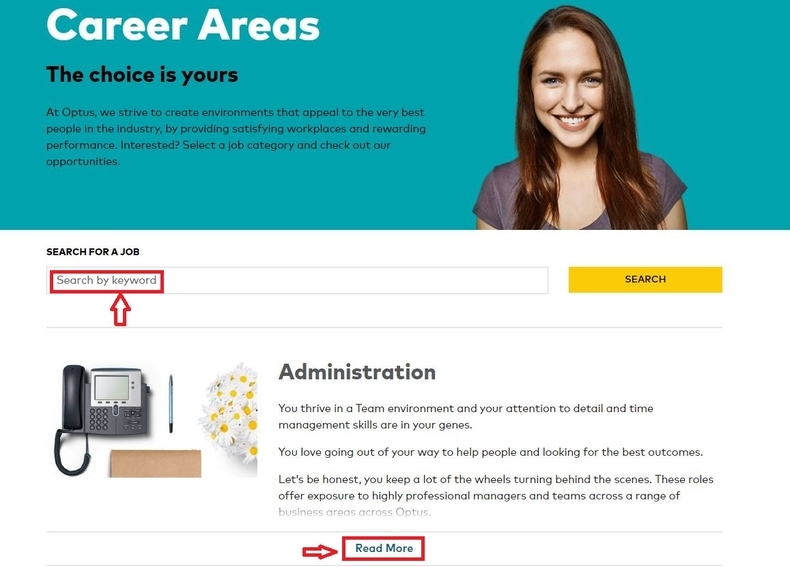 If you choose "Career Areas" in the last step, you'll come to the page shown below on which you could search for a job by entering keywords and click "SEARCH" or you can scroll down to see different departments in Optus and click ”Read More" to view job opportunities in that department. After you enter the keywords, lots of results will appear. 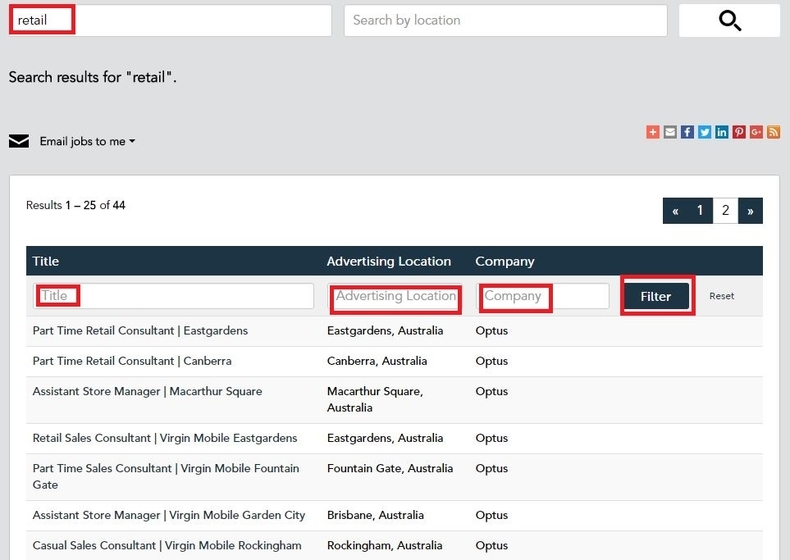 You could specify your choice by entering the exact job title, location and company you want to work for and then click "Filter" to move on. After you find the specific job you want to apply for, start apply with your LinkedIn or Facebook account or apply now by entering your email address. Then you need to fill out your personal profile which includes your name, phone number, employer, current title, interest level and job agents. Fill out your candidate profile by checking the basic personal info, unloading your resume, CV and other documents if necessary and giving more info about yourself by filling out the chart at the right side of the page. You may add your work experience so that the employer may get to know more about your current situation. Afterwards, you need to answer some more questions about your past working experience, availability, language skill, etc. Please note that the asterisked part can't be omitted. If you go pass all the process in the last step and click "Apply", you'll be directed to the page shown as below which means you complete your application process. You could return to job search page to browse more job opportunities or return to job applied to see your application status. Click optus.com.au/careers to apply for Optus jobs online.